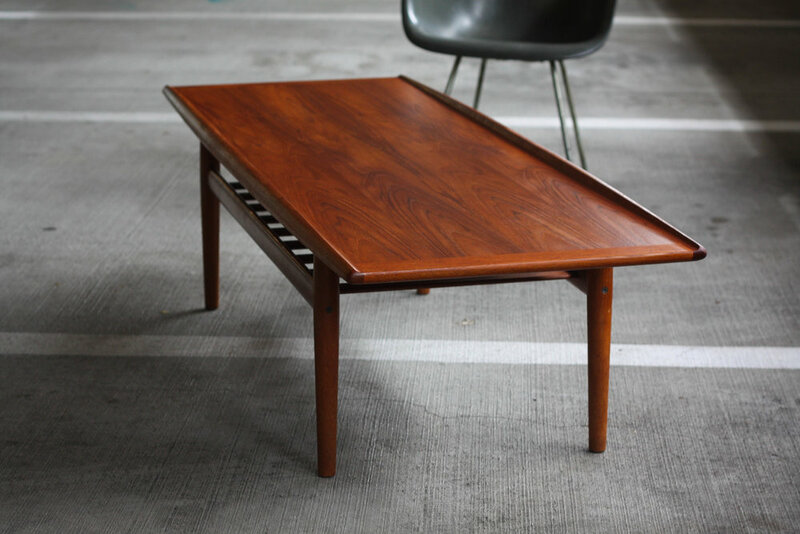 Such an amazing coffee table with superb craftsmanship. 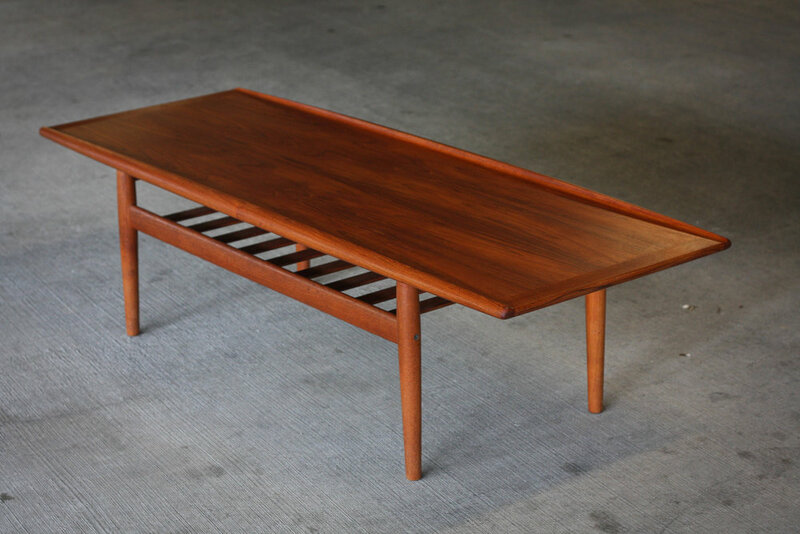 This Grete Jalk coffee table for Glostrup Mobelfabrik is sure to be the perfect accent piece to your living room. 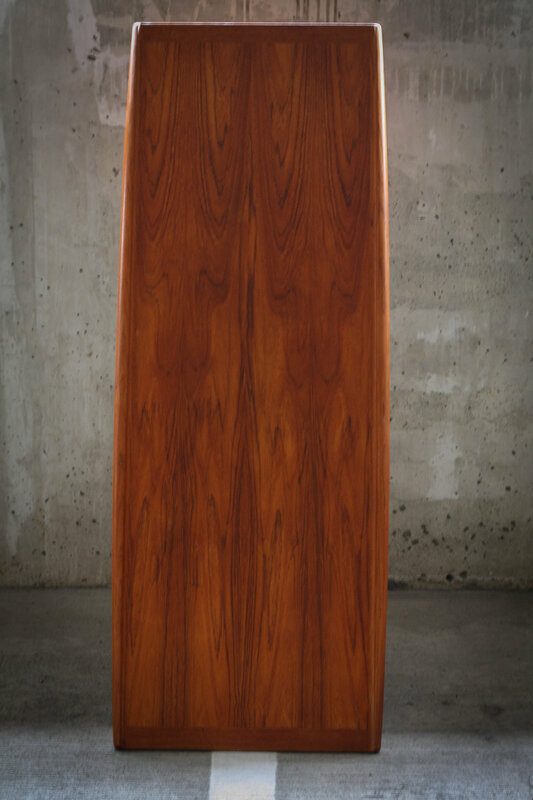 Featuring smooth, radiused edges and a lower slatted teak rack (for magazines and books), this piece is perfect for any modern abode. Original exposed fasteners and brass details prove this piece to be an authentic Jalk table. In very good vintage condition with minimal signs of wear, light scratches or knicks. No significant cosmetic damage and we do not feel that table warrants a refinish.